Category 1 Three Point Receiver Hitch Drawbar and Dual Offset Suitcase Weight Bracket for Three Point Hitches. 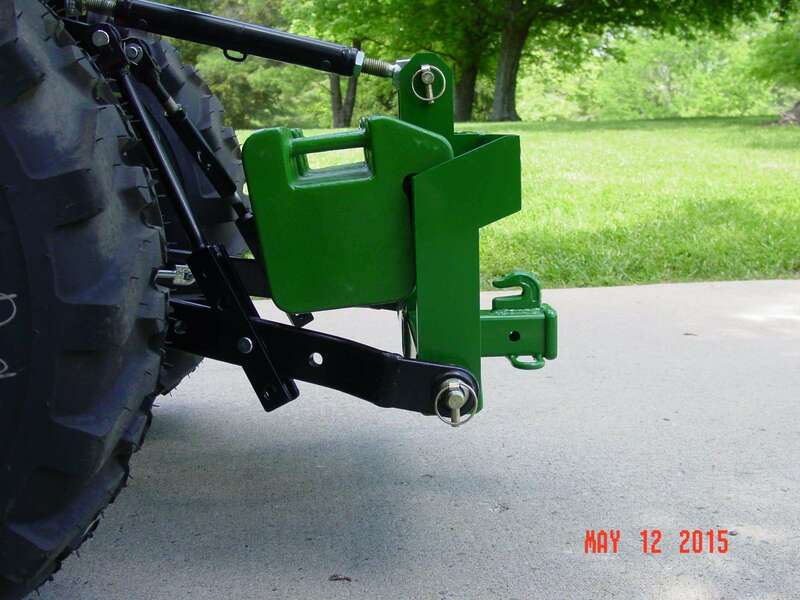 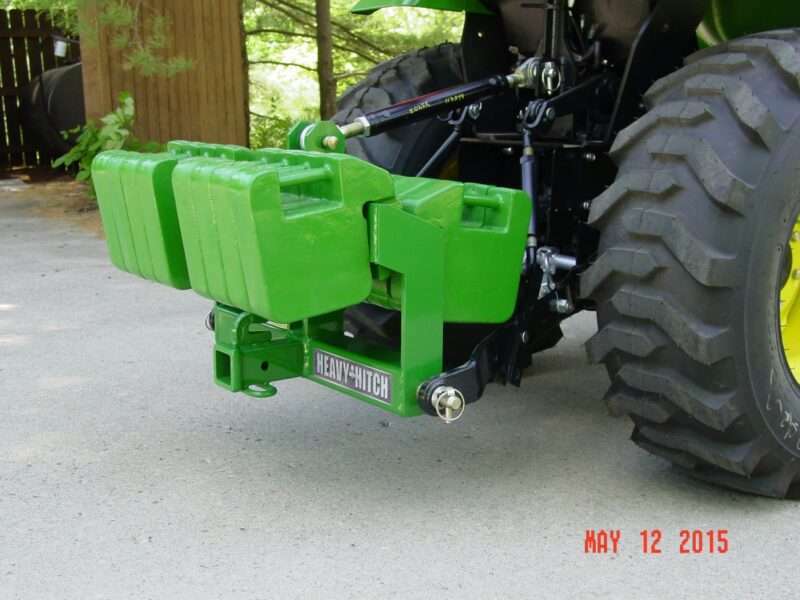 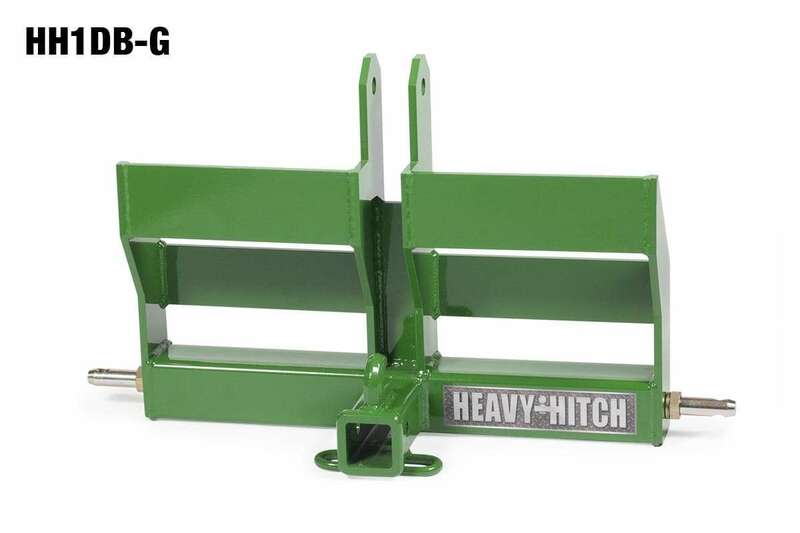 This hitch will accept up to (16) 42 pound or 70 pound John Deere weights or up to 1176# of ballast, depending on your tractor’s 3 point hitch configuration. 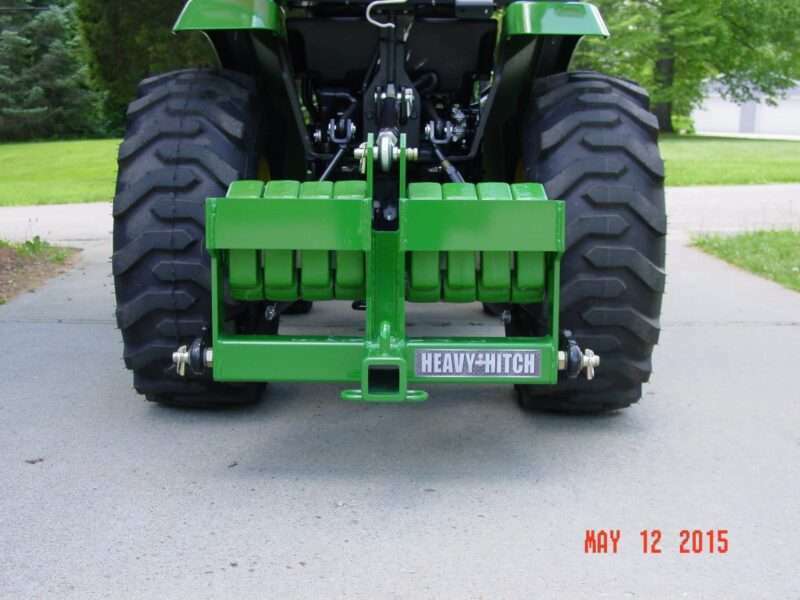 Heavy Hitch combo cart is recommended for mounting weights and hitch on tractor. 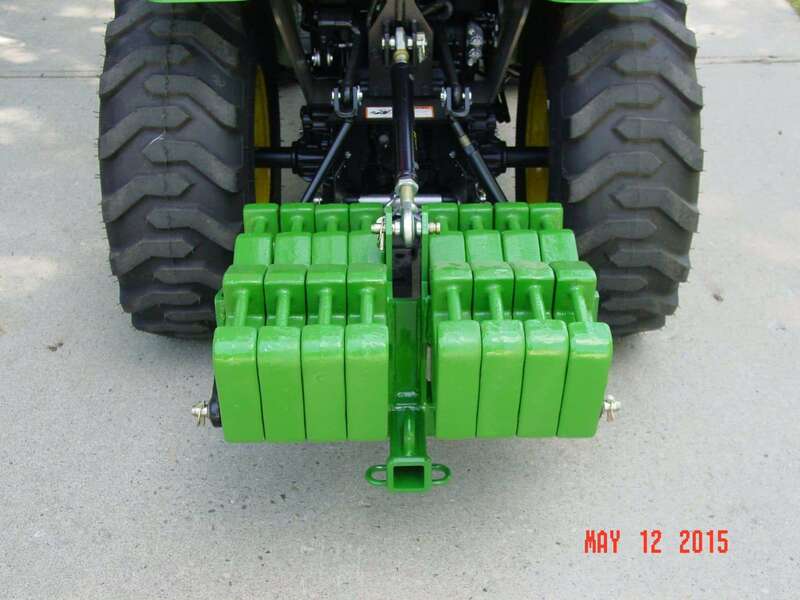 Weight bracket compatible with 42# part number R66949 or R66949Y and 70# part number BM19780 John Deere suitcase weights and other suitcase weights! 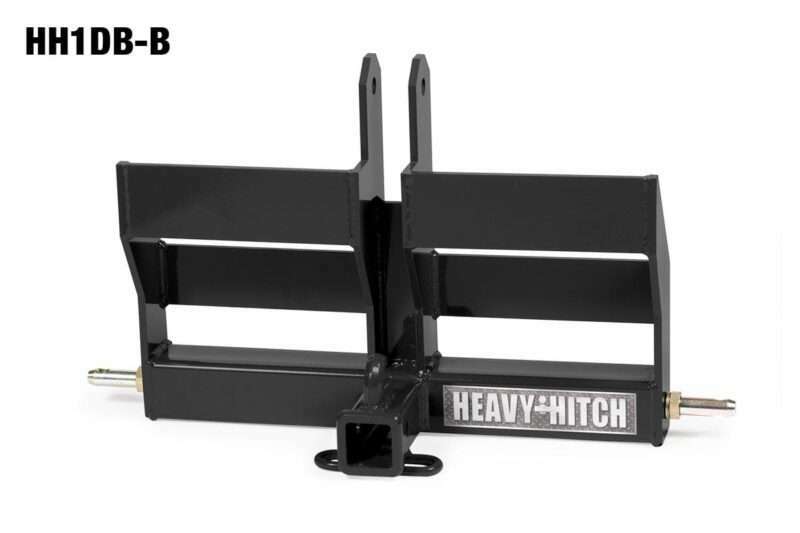 Constructed of 3/8″ thick, laser cut, steel plate and 3″ square box tubing…no cheap angle iron and straps! 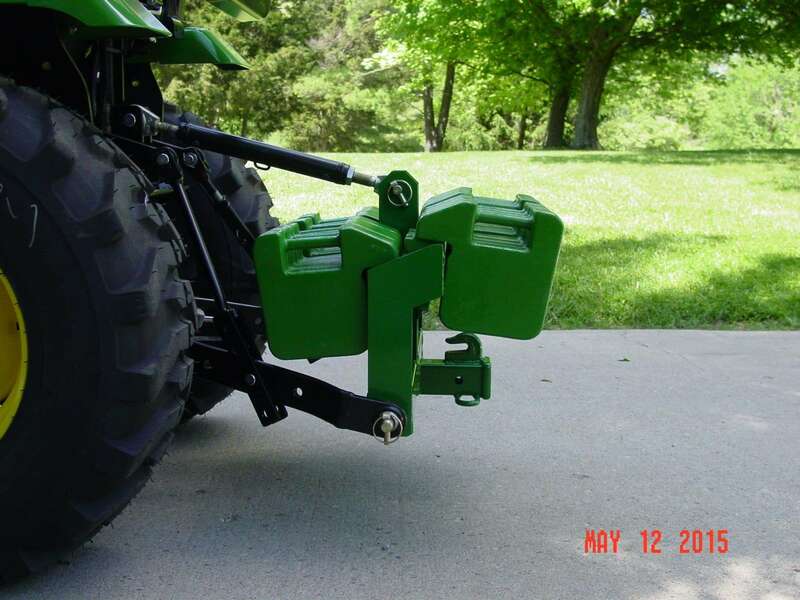 NOTE: There may be some fitment issues with the inside outer weights rubbing the lower 3 point arms on smaller frame tractors when the 3 point is in a lower position and also if used with some off brand quick hitches.